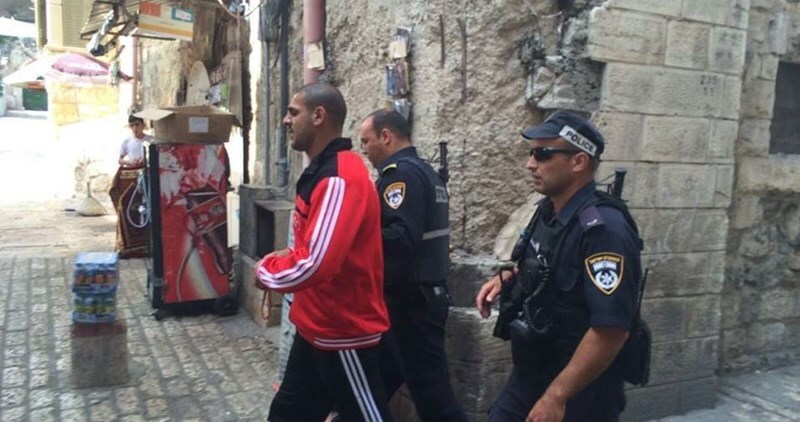 Israeli Occupation Forces (IOF) at dawn Tuesday arrested six Palestinians in Silwan town, Qalandya refugee camp, Hazma town and Damascus gate at the Aqsa Mosque in Occupied Jerusalem. They were taken to investigation and detention centers. Israeli authorities as well deported a Palestinian photographer, Amjad Arafa from Ras al-Amoud neighborhood, out of the Aqsa Mosque until July 21 as a precondition for his release from Israeli jails. In the same context, another 16-year-old Palestinian called Muayad Abu Mayyala was also deported away from the Aqsa Mosque for 20 days and placed under house arrest for five days as a condition for his release. 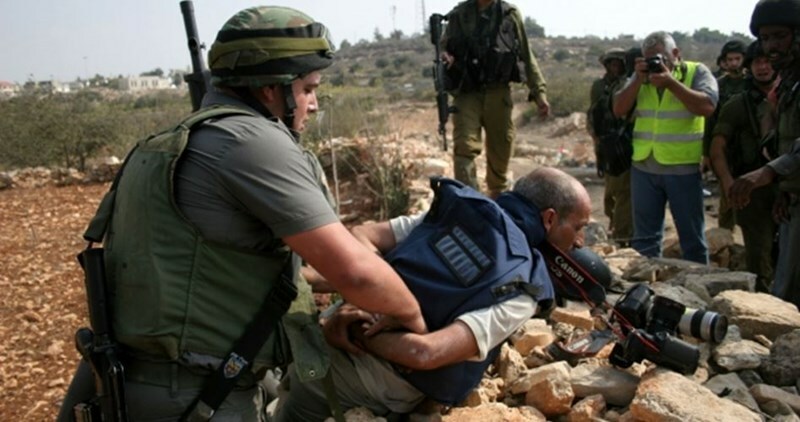 The Israeli occupation authority (IOA) and the Palestinian Authority (PA) committed 41 different violations against Palestinian journalists during last June, according to a report released by the Palestinian ministry of information. 29 of those violations were committed by the IOA and its military and security forces and 12 others by the PA security agencies, the ministry's observation department documented last month. Those violations included the use of physical violence and detention to prevent journalist from covering events and exposing violations in the West Bank and Jerusalem. The month also saw Israel's closure of Musawa satellite channel in the 1948 occupied lands. Israeli soldiers have kidnapped, overnight and at dawn Sunday, at least ten Palestinians, during massive invasions and searches of homes; nine of the kidnapped are from the Old City, and one from Silwan town. 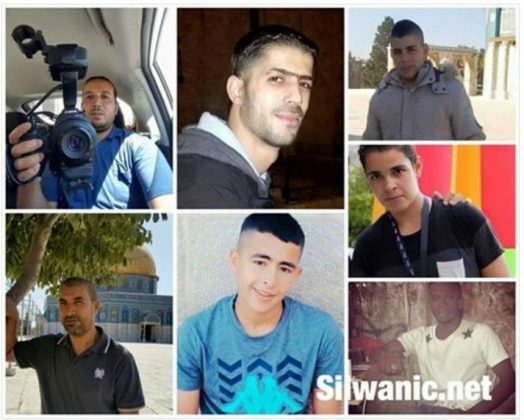 The Israeli Radio said quoted army sources claiming that nine of the kidnapped are suspected of involvement in hurling stones on Israeli police and army vehicles around the Al-Aqsa Mosque, in addition to Silwan town and Bab Al-‘Amoud. 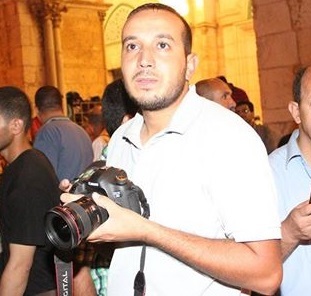 The WAFA Palestinian News Agency said the soldiers also kidnapped photojournalist Amjad ‘Arafa, after storming his home in Ras al-‘Amoud neighborhood in Silwan town, south of the Al-Aqsa Mosque. WAFA added that ‘Arafa was first ordered to head to a security center for interrogation, on Saturday evening, and was released a few hours later, yet, the army invaded his home and kidnapped him. The Wadi Hilweh Information Center in Silwan (Silwanic) quoted Palestinian lawyer, Mohammad Mahmoud, stating that the soldiers invaded and searched many homes in Jerusalem’s Old City, and kidnapped six Palestinians. 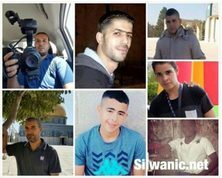 Mahmoud said the kidnapped have been identified as Ahmad Mohammad Abu Ghazala, 50, Mohammad Yousef Abdul-Ghani, 41, Amjad Mahmoud Abdul-Ghani, 17, Nour Salim Shalabi, 18, Laith Salim Shalabi, 15, and Mohammad Abdul-Samea’ Jaber, 17. Amjad Abu ‘Assab, the head of Jerusalem Parents Detainees’ Committee, said the soldiers also kidnapped three young men, identified as Shadi Seder, Jihad Salem, and Mamoun Hasheem, from Jerusalem’s Old City. At least two journalists were injured when Israeli Occupation Forces (IOF) brutally attacked a group of journalists while covering clashes with Palestinian youths east of Bethlehem on Friday. Local sources affirmed that Israeli forces attacked and injured the two journalists Raed Sharif and Radhi Karama while covering the confrontation. The two injured journalists were taken to hospital for treatment, the sources added. The journalist Karama said that Israeli forces stopped him along with his colleague and suddenly fired a teargas bomb at his foot before savagely attacking both of them. The two journalists suffered different wounds and bruises all over their bodies. Earlier Friday, IOF soldiers attacked hundreds of Palestinians with teargas bombs at Mazmoria checkpoint while trying to cross into occupied Jerusalem to perform the last Friday prayer of Ramadan at al-Aqsa Mosque. Several injuries were reported during the attack while a number of nearby agricultural greenhouses were set on fire due to the heavy firing of teargas bombs. The Palestinian Center for Development and Media Freedoms “MADA” has issued a study [PDF] on women’s press and freedom of opinion and expression in Palestine. 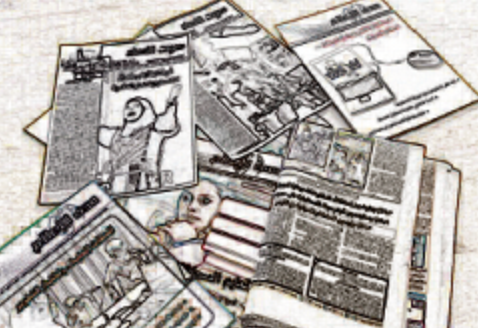 The study was intended to shed light on women’s press from competent institutions devoted to women’s issues and rights in Palestine, as well as their contributions in promoting freedom of expression and the obstacles encountered, through providing an in-depth illustration on how to address women’s issues by a group of competent media organizations. The study was prepared by two researchers, Walid Moussa and Bassam Awartani — the thirteenth in a series of studies released by “MADA” center, in order to help address issues and highlight cases, and to promote freedom of expression and the development of media in Palestine. The research included data collected by the newspaper “Sawt Al Nisaa’/Voice of Women”, issued by the Forum of Women’s (a civil organization), and the Radio “Women FM” (non-profit company), and the radio “Sawt Al Nidaa’/Voice of Women” in Gaza (private company). The study concluded that women’s press has become more capable of raising issues on women’s rights and barriers, and that this is an indicator of widening spaces of freedoms and tackling women issues in media. The study also recorded certain weaknesses in media, particularly in surveys, electronic media and the poor use of advanced technologies with regard to presenting media content in ways that ensure widespread publication — as opposed to self-censorship in journalism and media workers — and, above all, the dominance of political discourse. The study was issued with support by the “Open Society institutions”, with a recommendation to enhance coordination between women’s press institutions. The aim, according to the PNN, is to build an integrated media strategy and to encourage investigative journalism, with a focus on raising important issues such as the economic empowerment of women over political, and striving to develop a periodic evaluation regarding the impact of specialist media pertaining to women’s programs, through field surveys, in addition to providing comprehensive help in understanding the strengths and weaknesses of the most influential aspects of society and the public. The Palestinian Media Forum denounced Wednesday the international silence over the Israeli escalated crimes against Palestinian journalists. 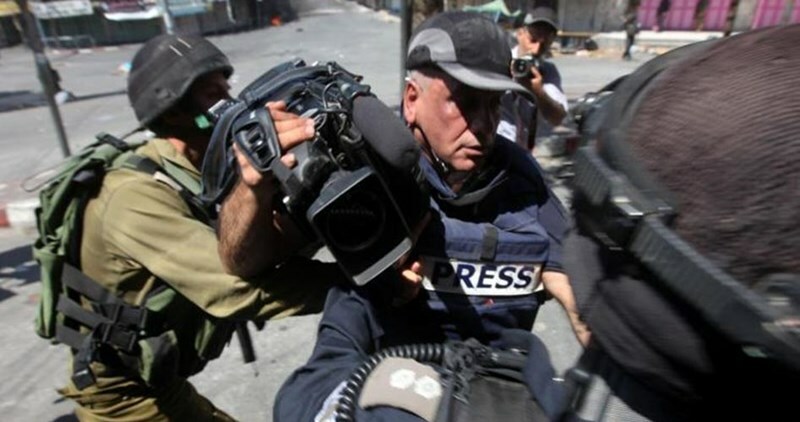 In a press statement, the Media Forum said that 22 journalists are currently held in Israeli jails. The continued international silence vis-a-vis the Israeli crimes and violations provide a green light for more harassment against Palestinian journalists. 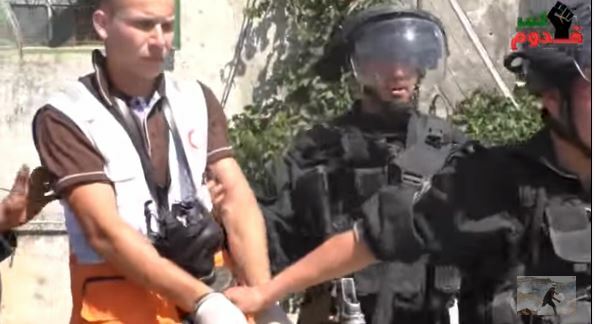 The forum raised alarm bells over the Israeli deliberate and escalated attacks against Palestinian journalists especially after the Israeli occupation authorities renewed the administrative detention of five imprisoned journalists. The statement pointed out that the imprisoned journalist Bassem al-Sayeh suffers from a very difficult health situation. The forum called on Reporters Without Borders and Committee to Protect Journalists and human rights institutions to intervene for the release and protection of Palestinian journalists. The Forum vowed to expose the ugly image of Israeli occupation despite its escalated targeting of the Palestinian journalists. A number of Israeli military vehicles invaded, on Monday at dawn, the town of Beit Fajjar, south of the West Bank city of Bethlehem, searched homes and kidnapped two Palestinian teenagers. The soldiers also kidnapped two journalists in Ramallah. Local sources said the soldiers searched a few homes in Beit Fajjar, and kidnapped Rebhi Mohammad Taqatqa, 17, and Mahmoud Eyad Thawabta, 18, before taking them to the Etzion military base and security center, south of the Bethlehem. The soldiers also invaded various neighborhoods in the town, and clashed with several local youngsters, who hurled stones and empty bottles on the military vehicles, while the soldiers fired sounds and gas bombs, and concussion grenades. 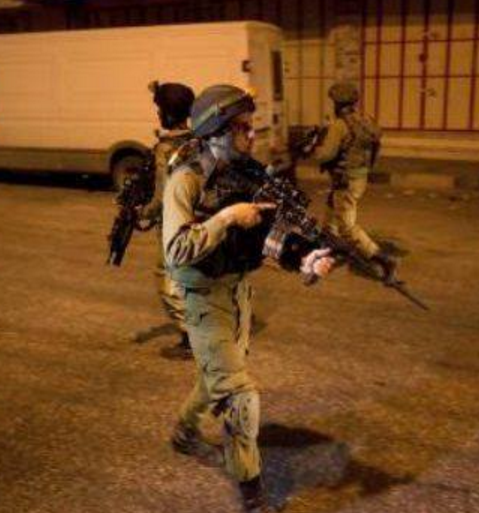 Also, the soldiers invaded various neighborhoods in the central West Bank city of Ramallah, and searched several homes, before kidnapping two Palestinians, identified as Mohammad Wajeeh Hamdan, and Nasser Jamal Ekhseib, 26. The Palestinian Prisoners Society (PPS) said al-Atrash is a media researcher and Khaseeb teaches in the journalist department of Birzeit University –- they recently obtained their Masters Degrees from the Eastern Mediterranean University in Cyprus. 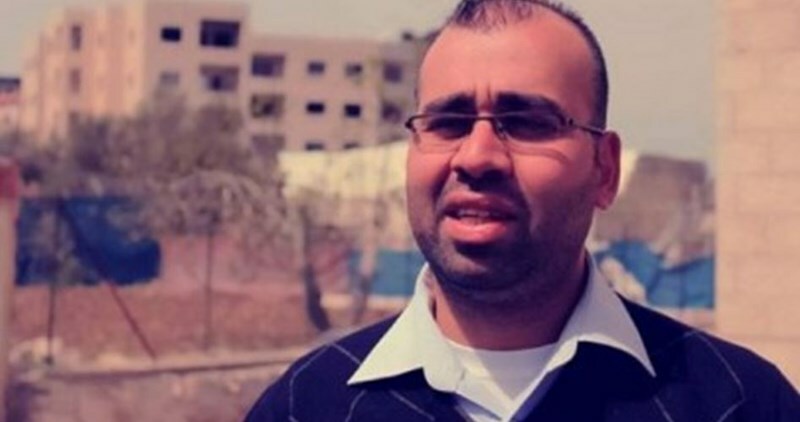 Islamic Resistance Movement, Hamas, renewed the demand of releasing journalist Tarik Abu Zaid who is held captive by the Palestinian Authority’s (PA) security forces in Nablus in light of the worsening of his health condition. The Hamas leader in Tubas, Faze' Sawafta, said in a press statement that the continuation of detaining Abu Zaid for 33 days in a row at illegal pretexts violates the law and rights of journalists especially freedom of speech. “It is an attempt to mute all free voices that disagree with the PA’s official point of view", he said. 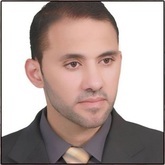 Sawafta called on human rights institutions to expose the PA’s violations and intervene to release journalist Abu Zaid. "The continuation of such punitive measures against journalists flames tension among Palestinians", he warned. Palestinian Authority’s court in Nablus extended on Thursday the detention order against journalist Tarik Abu Zaid to 15 days and refused to release him on bail for the eighth consecutive time for continuation of investigation procedures. The father of Abu Zaid told the PIC reporter that the court extended the order against his son even though the prosecution did not present any evidence against him. The father opined that the trial was meant to increase the suffering of the family. He pointed out that his son was brought to court while chained with weary face and surrounded by a large number of security men. Journalist Abu Zaid works as a correspondent for Al-Aqsa TV channel. He was arrested right from his home on May 16 for publishing news affecting “the prestige of the state”. An Israeli court adjourned on Wednesday the trial of the Palestinian journalist Ahmad al-Beitawi after the court of appeal approved an objection filed by the prosecution over an earlier verdict. The Ofer military court postponed the trial of journalist al-Beitawi under the pretext that the court secretariat forgot to inform the Ofer prison administration to bring the detainee to the courtroom. The detainee’s brother, Fadhl, slammed the Israeli occupation authorities for dragging their feet over his brother’s case, saying the trial has been delayed on several earlier occasions. He added that the Israeli court of appeal in the Ofer prison approved an objection filed by the Israeli prosecution over an earlier sentence of 11 months and a fine of 2,000 shekels on account of al-Beitawi’s work at the al-Tadhamun international rights institution. Al-Beitawi had been held for 15 months in Israeli jails during two arrests in 2014 and 2015 over the same charges. Journalist al-Beitawi, 33, is an editor at the Quds Press news agency. He was arrested in early June 2015 from his family home in Nablus.